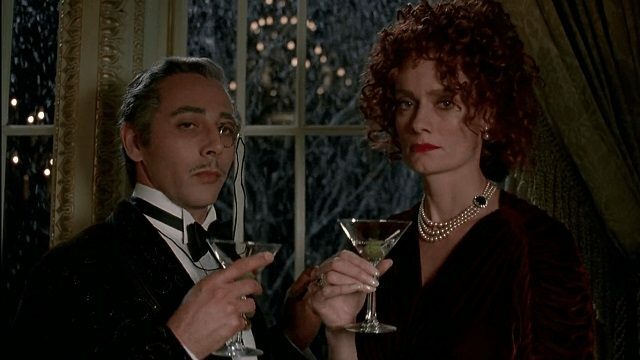 In 1992, Tim Burton delivered the second and final installment in his Batman series, Batman Returns. While the film was praised for its all-star cast, action sequences, and gorgeous design, the dark and gloomy tone resulted in Warner Bros. changing things up for 1995’s Batman Forever. And, as we all know, it went to pot right around then. Looking back at the film now, it’s easy to see why it was ahead of its time and not many people understood what it was trying to achieve. Burton refused to see these characters and stories as childish or purely for pushing toy sales, choosing instead to create something far more compelling that explored the psyches and motivations of each character. Even 25 years later, the visual narrative still holds up and you can enjoy it much like you did the first time you watched it. Batman Returns was, and still is, a phenomenal motion picture, and one of the greatest comic book movies of all time. In celebration of its 25 year anniversary, we’ve gone back and watched it again and identified the nine best moments. There are many more exciting moments, of course, but these are some of our favorites. So, put on the unforgettable Danny Elfman theme and join us in remembering this classic Dark Knight adaptation.